Vox’s Bettasat (aka VSAT) service is a sophisticated communications solution, using small fixed satellite antennae to provide internet access directly from a satellite connection. This enables reliable communication between a central hub (like your head office) and almost any number of geographically dispersed sites. Now your staff can connect from anywhere in Africa, via a dedicated satellite link – extending your network reach to regions not serviced by traditional terrestrial options. Vox offers quick installation time for VSAT clients. The result? A completely private network between branches – quick and convenient. VSAT is point-to-point, single-hop, dedicated satellite connectivity, with minimal latency, dedicated bandwidth and accurate allocation. This satellite solution is an affordable redundancy option, providing connectivity when primary links fail and offering 99.5% uptime. Our iDirect Evolution Satellite Teleport is co-located at Vox’s Johannesburg office and is remotely monitored around the clock. Clients also enjoy 24/7 support. BettaSat is an always-on Internet access service delivered via the Hela Sat 3 satellite located at the 17 degrees East orbital position. 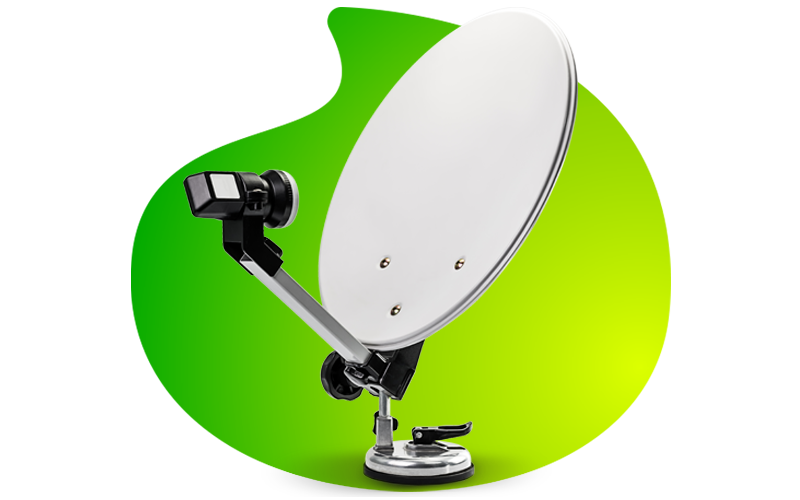 The satellite relays signals between a Hub in Johannesburg and your VSAT terminal, connecting your network with the Internet. The service is ideal for any consumer, business, or enterprise requiring an affordable always-on Internet access service. BettaSat gets you online instantly to surf the web, download mail, etc. VSAT terminals are installed at your sites by authorised installers. Each terminal consists of a small 1.2m dish installed outside at a carefully selected position to ensure it has a ‘clean’ path between the dish and the satellite. The dish connects via a coaxial cable to the satellite modem installed indoors, delivering internet access via its ethernet port(s). The satellite ‘relays’ signals in the Ku-frequency band, between the VSAT terminal and an earth-station at Vox in Johannesburg, ‘connecting’ the VSAT terminal to the Internet. BettaSat is available throughout South Africa and throughout Southern Africa, even in remote areas far from cities or towns. How fast is the BettaSat broadband service? Download speeds range from 128Kbps up to 3072Kbps. Upload speeds go from 64Kbps up to 768Kbps. Can I use BettaSat on a small network to serve multiple users? Yes. You can connect multiple computers and laptops to a single BettaSat Internet connection. Home networking equipment may be required and is not included with your BettaSat system. Can I run a mail server behind my BettaSat service? Yes, provided you apply for a static IP. To ensure voice quality, a network connection must support a feature called ‘Quality Of Service (QoS)’ that prioritises voice traffic over normal data traffic (e.g. http, YouTube, torrents, etc. ).